Been busy with two new cookbooks this weekend: The Buenvino Cookbook and Turkhead Culinary Delights. 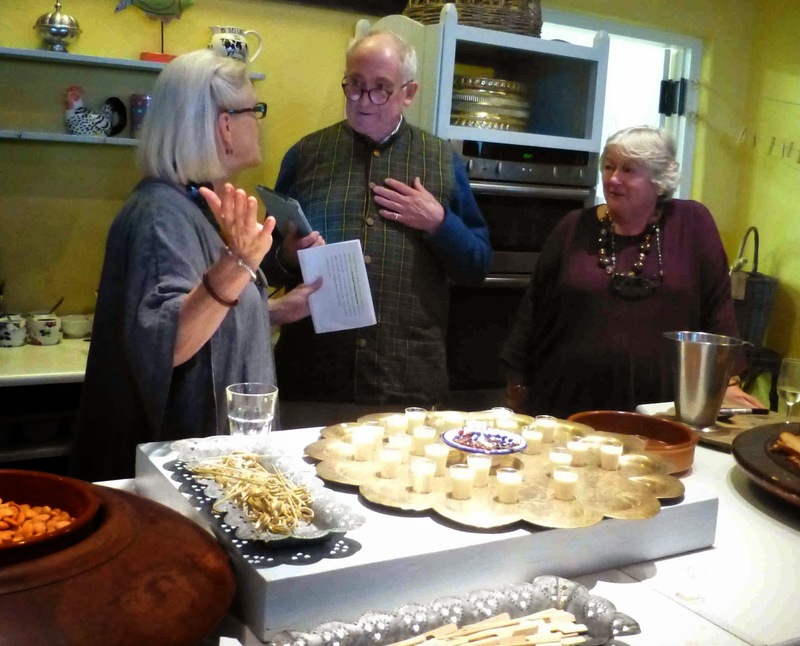 The former, recently launched in Ballymaloe Cookery School, is by Jeannie and Sam Chesterton, while the latter is by Alain and Edel Wille and is subtitled A West Cork Indulgence. As it turns out, the West Cork one is the more international containing recipes from Indonesian, Japanese, French, Italian, Dutch, Belgian, British and Irish kitchens and the latter is based on recipes from a finca (farmhouse) in Spain, in Andalusia. Luckily enough - and it is a sign of the times - most of the ingredients can be obtained locally. Indeed, I got most of them in the English Market on Friday morning: Quails eggs from O’Sullivan Poultry, Arbutus Sourdough, Serrano (Iberico would have been better) and a chunk of Jack McCarthy’s French Style black pudding from On The Pig's Back, salmon and mussels from O'Connell's, Chicken fillets from The Chicken Inn, seaweed and organic salads (and the Turkhead book) from Fresh from West Cork, and so on. all on toasted Arbutus sourdough. 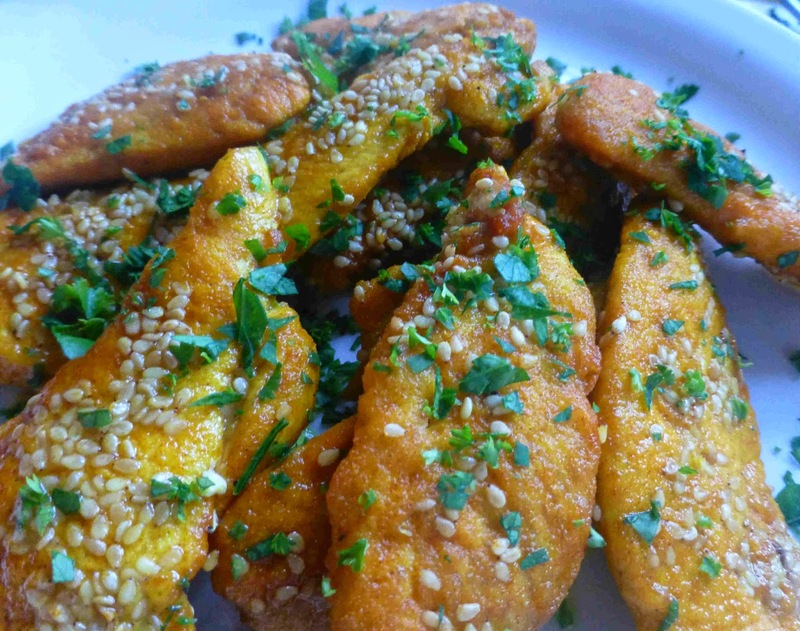 Chicken breasts, turmeric, white sesame seeds, parsley or coriander. 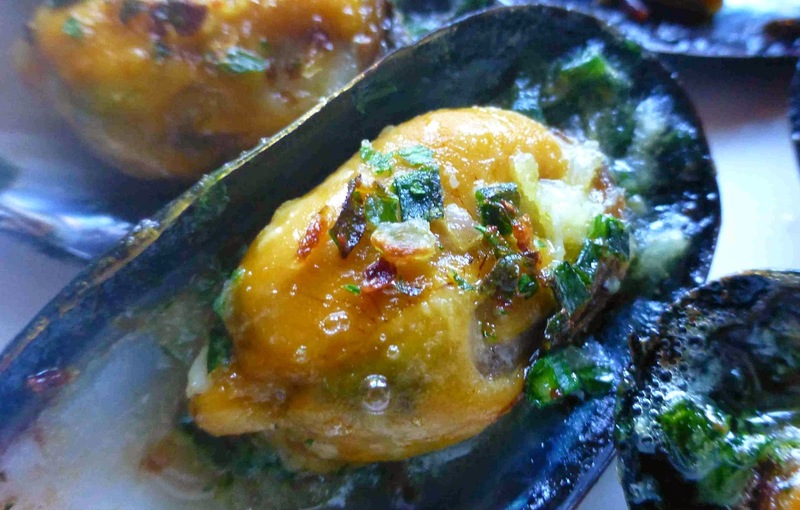 Mussels with (Saffron and) Spinach by Buenvino. Forgot the Saffron but this is one of the best mussel dishes I've ever had. 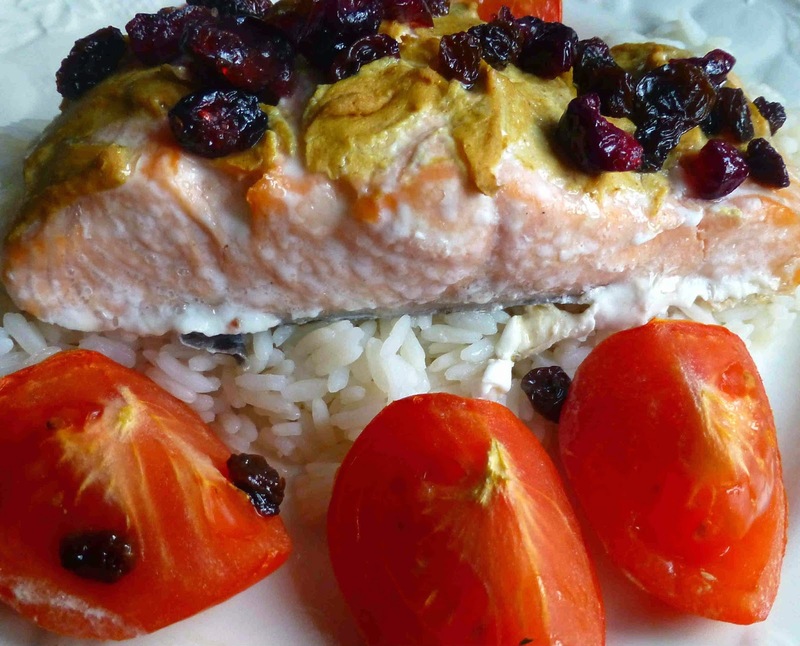 Salmon, Dijon Mustard, Tomatoes, Olive Oil, Salt & Pepper, Cranberries, Raisins, Rice, Dried Seaweed. 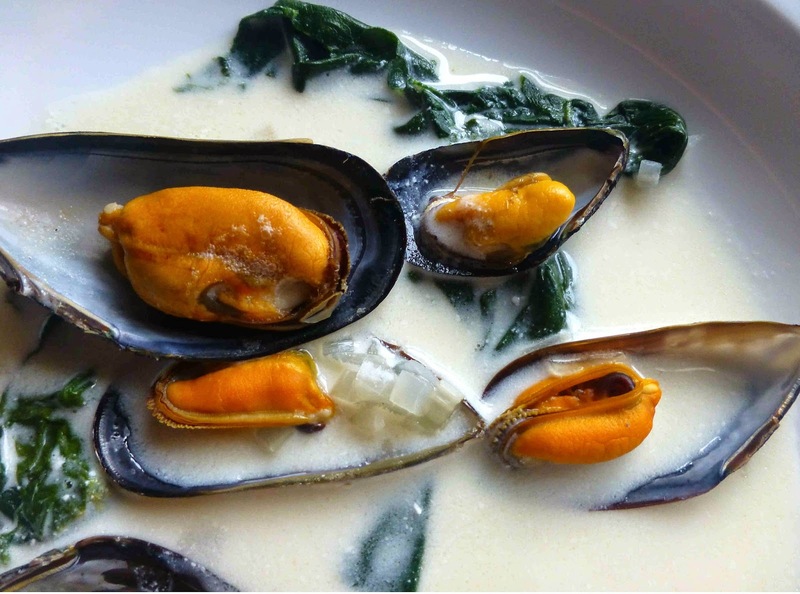 Turkhead Culinary Delights (A West Cork Indulgence) is by Alain Wille and Edel Wille. You can get all the details on this book here, even an APP that will help make out your shopping list for the recipes. I got my copy at the Fresh from West Cork stall in the English Market and you may also download a copy at iTunes Book Store for only €1.99 on this link. The Buenvino Cookbook (Recipes from our farmhouse in Spain) by Jeannie and Sam Chesteron is a much larger book and has a more traditional layout. It was launched recently (details here) in the Ballymaloe Cookery School and is available in the shop there. It is also available on Amazon for £20.00 and less. Both are quite practical and it looks as we will be using them regularly, a sign that they have passed the first test! Highly Recommended. Muc*, the pig from Buenvino, was in Ballymaloe Cookery School at the weekend. Or at least one of his back legs was. You see, four years back Muc was killed and the long air-drying period began. Before that, he had happily wandered the woods around the big house in the south west of Spain, snouting out the best of nuts, especially those gorgeous acorns, qualifying him for the coveted Ibérico status. 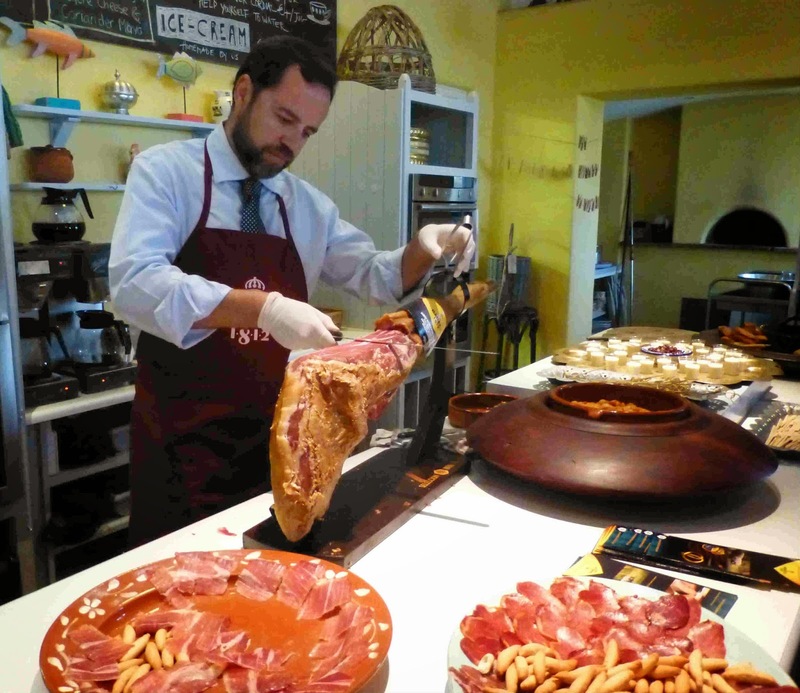 Muc, now a tasty hunk of Jamón Ibérico**, was in Ballymaloe as Buenvino owners, Sam and Jeannie Chesterton, came to have their cookbook, simply named the Buenvino Cookbook, launched by Darina Allen. 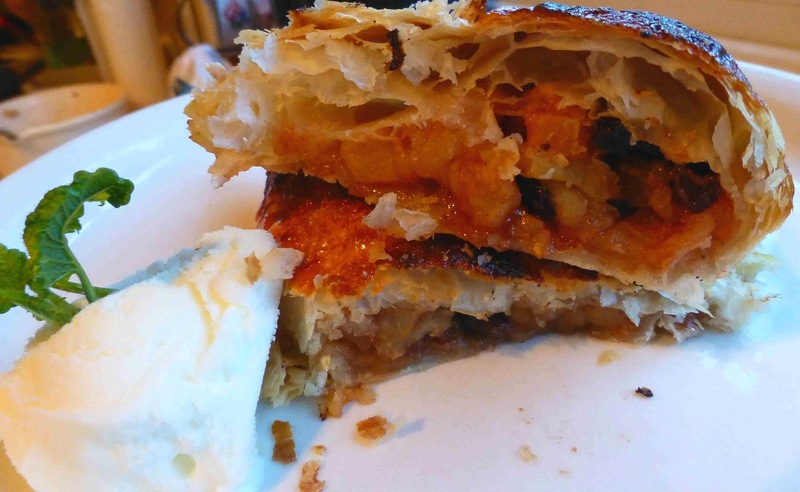 All the recipes have a Spanish flavour but you can get most if not all the ingredients here. Rory O’Connell certainly did and he and his team cooked up many of the recipes from the book and we were able to enjoy: quails eggs with a pinch of cumin, fresh pickled anchovies, toasted almonds, Almond soup with PX soaked raisins, manchego, spinach with chickpeas, tortillas, and more, before finishing off with a plate of Paella! All accompanied by Lustau sherry (manzanilla for me) and Vina Herminia wines (a Rueda verdejo and a Rioja red). Finca Buenvino, a pink washed farm and guesthouse, is in the middle of the Sierra de Aracena nature reserve in Andalusia and the book tells how Jeannie and Sam ended up there and are now regarded as true locals. 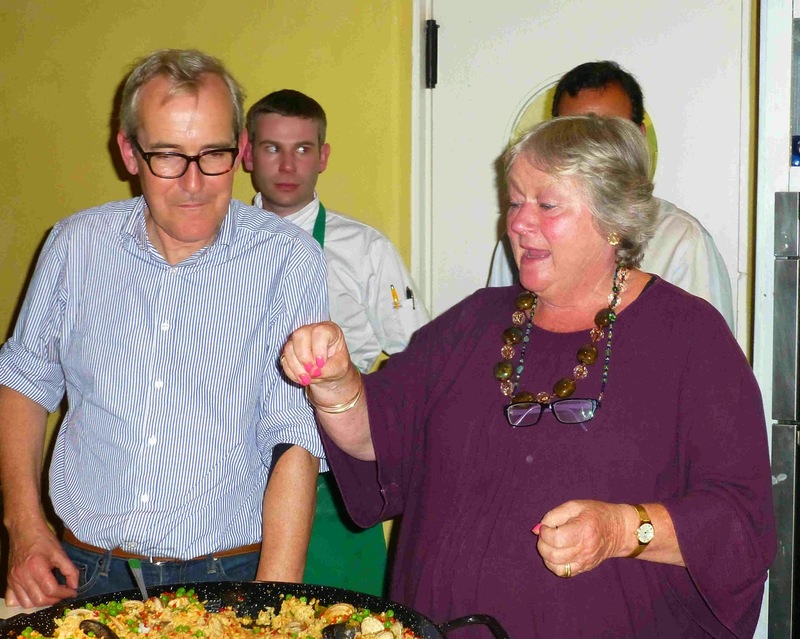 Darina, who has visited the Finca, says Jeannie is a wonderful cook (and she does cookery courses there). Jeannie herself emphasizes that while her cooking is influenced by Spanish methods and ingredients, that this is not a “thoroughbred” Spanish cookbook, rather her take on their way of life and the food they share with their guests. The book, published by BFP , runs to over two hundred pages and there are all kinds of tantalising recipes from Tapas to full meals, from Baked Octopus and potatoes to a Lamb with aubergine tagine, from various treatments of anchovies to a Citrus and Honey Cake, from a Stew of Mixed Fish to the Pear and Almond Tart, from Tortillas to Iberian Pork Fillets with red peppers. There are even some pronunciation tips, for Chorizo for example. Such variety! And all beautifully illustrated. “Have a great time cooking these recipes” wrote Sam as he and his wife signed the book for us. A great time, maybe even a long time. But it is looking very good indeed. Just two recommendations to end with, there are many. 1 I can't wait to buy this book and be transported back to their little corner of paradise. (Thomasina Miers, founder of Wahaca restaurants). 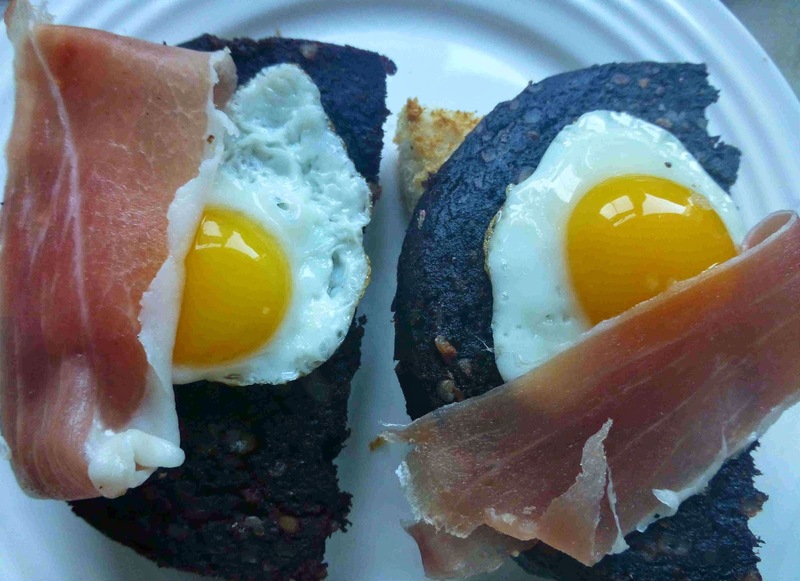 2 A creative and dedicated cook who understands food with plenty of taste, colour and flair. 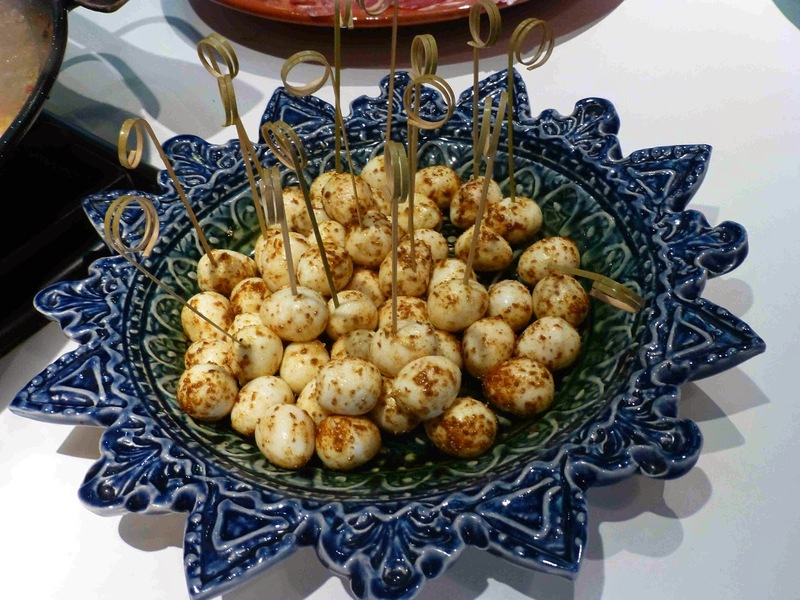 (Maria Jose Sevilla, Foods and Wines from Spain, Spanish Trade Commission, London). * Name has been changed! ** Jamón Ibérico puro de bellota is a rare and exclusive air-cured ham. The Ibérico pig is a pure bred, free-ranging animal that feeds mainly on acorns from Holm Oak trees. It is these acorns that give Jamón Ibérico it’s unique smell, taste and feel. The meat is delicate, with a sweet flavour and less salty than Jamón Serrano.